Join us again in the mountains on some of the best roads America has to offer at Miatas at the Gap 23! We’ll be taking some Exocets up for a cruise around the Tail of the Dragon near Deals Gap, joined by hundreds of other passionate Miata owners! There will be all kinds of unique Miata vendors, and specialty builds on display, so make sure you clear your calendar. We hope to see you there! 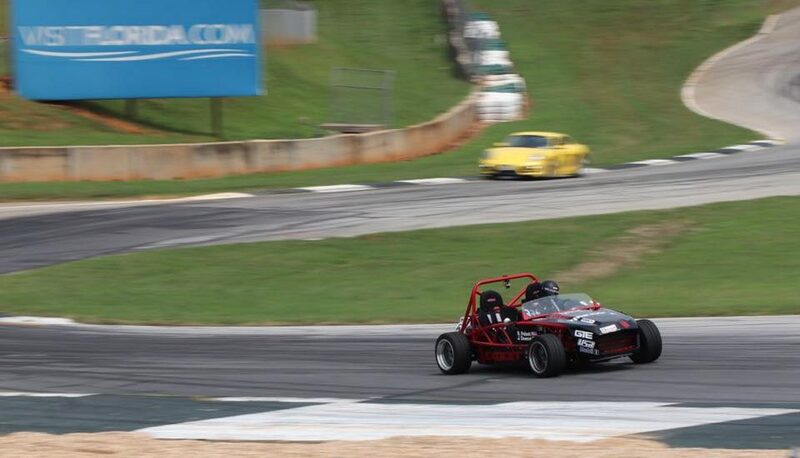 Join Exomotive at SCCA Nationals and watch Lexxie compete with an Exocet Sport in the EML class. 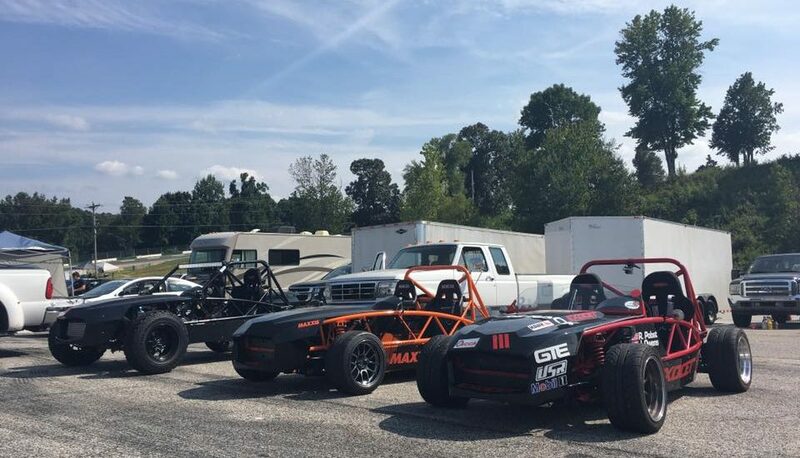 Follow along as Lexxie drives from Exomotive HQ in the Exocet Sport over one thousand miles to Lincoln Nebraska for a full week of competition against the best autocross drivers in the country. 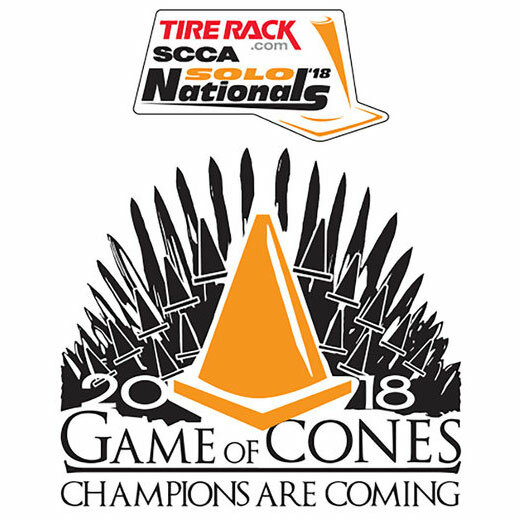 This year’s theme, Game of Cones: Champions are Coming, borrows from the very popular HBO program and will likely result in several interesting interpretations on the premise. Last year, Solo Nationals set an attendance record with 1,317 entries. The entry cap for the 2018 event is set at 1,350 entrants, including those participating in the Junior Kart classes. 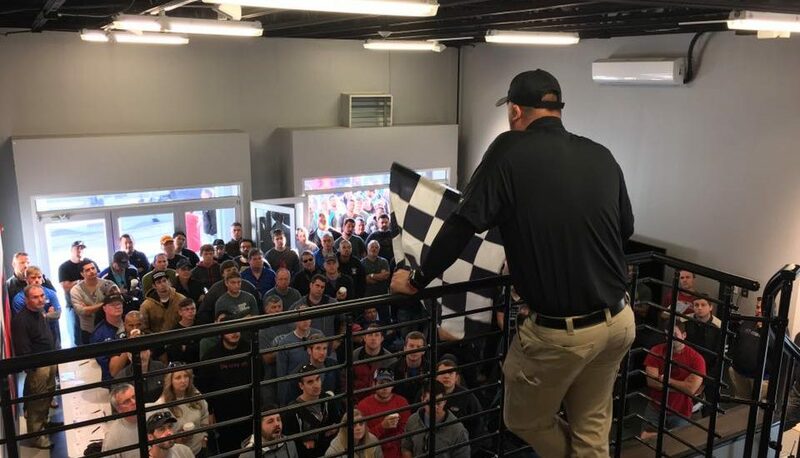 The event will likely be a sell out this year and we look forward to competing! 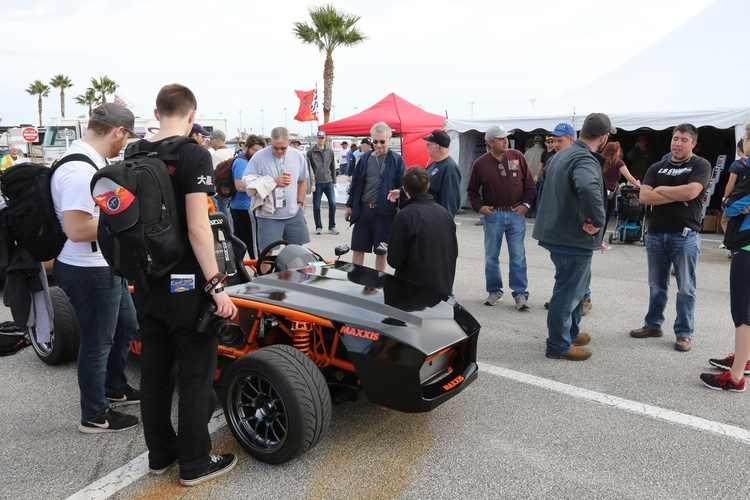 Grassroots Motorsports Magazine snagged a picture of the crowd gathered around the New Tucker Orange Exocet Sport. We hope you were able to say hi, and if not, we’ll catch you at the next event! Check out the event wrap up, here, along with our video wrap up, here! 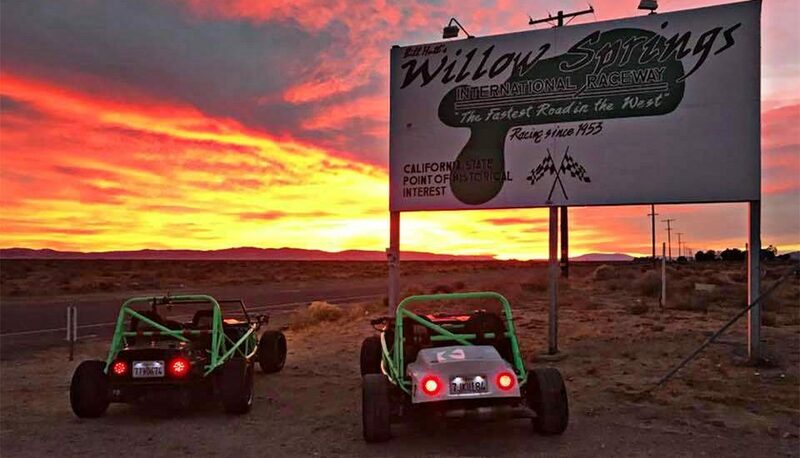 Clint and Paul take out their Exocets to the fastest road in the west, Willow Springs. Talk about a good time, with an amazing view! We hope you have a wonderful Thanksgiving holiday! 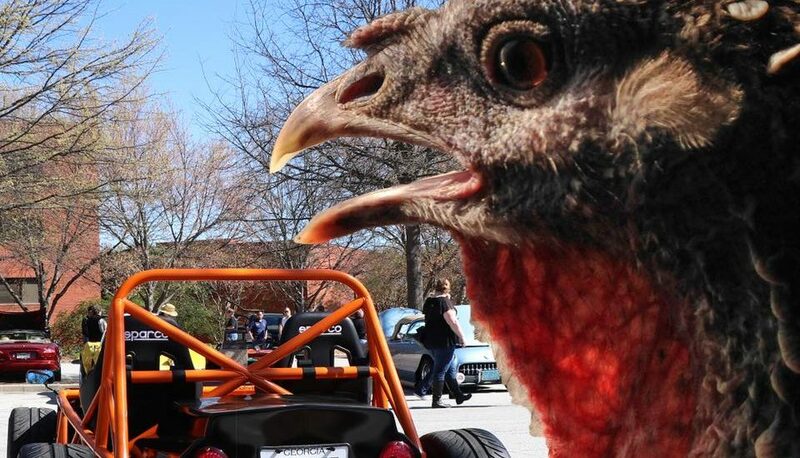 See the future today at Caffeine and Octane. 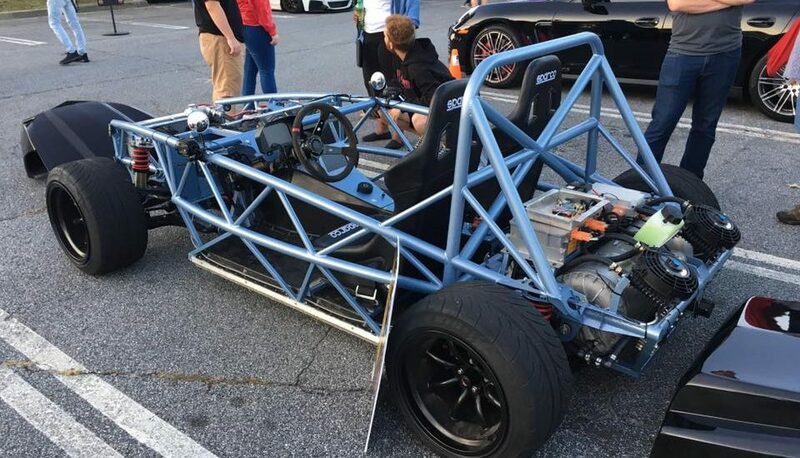 Behold, the Tesla Model S-powered Exocet by Eddy Motorworks and Exomotive. Congratulations to Randy and Jason for winning the Unlimited class of the 2017 SCCA Targa Southland in an Exomotive Exocet! The team arrived safely in Memphis and is ready to take on the final day of SCCA Targa Southland at Memphis International Raceway. Good luck Jason and Randy! 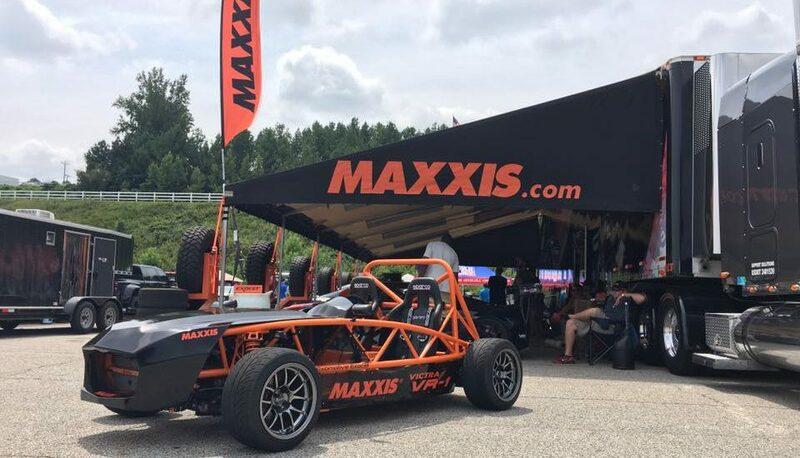 The Maxxis Tires Exocet Sport showing off at Caffeine and Octane!